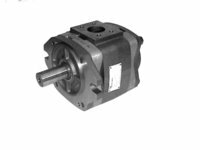 The GP pumps are fixed displacement external gearpumps with axial clearance compensation. 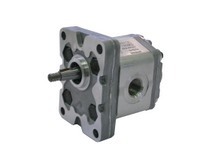 The 1P pumps are fixed displacement external gear pumps with axial clearance compensation. They are available with displacements going from 1,1 to 8,0 cm3/rev and with operating pressures of up to 230 bar. IGP pumps are volumetric displacement pumps, available in five sizes, each divided into a range of different displacements.